Book publisher Penguin has appointed The Assembly to create an ad campaign around the autumn launch of John le Carré's new book 'Our Kind of Traitor' following a competitive pitch against undisclosed agencies. The novel is released on 16 September and is Penguin's first book by the best-selling author. The Assembly's ad campaign will include an outdoor campaign, experiential work and online and social media. Penguin has asked The Assembly to adopt an "untraditional" approach to advertising the book to appeal to a fresh and younger audience as well as the spy genre's traditional readership. Trevor Hardy, co-founder of The Assembly, said: "Penguin is one Britain's most iconic brands and we are hugely excited to be working on a brief for such an acclaimed author that challenges us to break the mould of traditional book advertising and attract a new audience for John le Carré's espionage classics." The Assembly will also work on further activity around book launches early next year and support the reissuing of John le Carré's previous books, under the Penguin Classics umbrella. 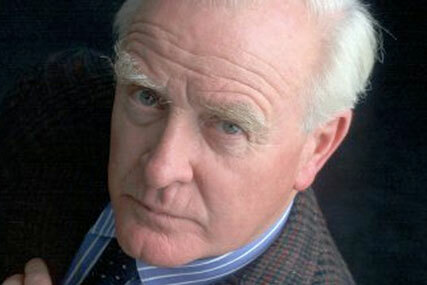 John le Carré switched to Penguin last autumn after 38 years with rival publisher Hodder & Stoughton.